Fall is our favorite time of year, and it’s finally here! Whether you’re looking for pumpkin patches, corn mazes, rockin’ live music, haunted houses, scary movies or the best hot chocolate in town – Nashville has it all! 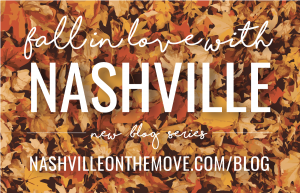 Read our new weekly blog series “Fall in Love with Nashville” where we will post must-try things for this fall season in Nashville, which we hope will help you fall even more in love with this great city!